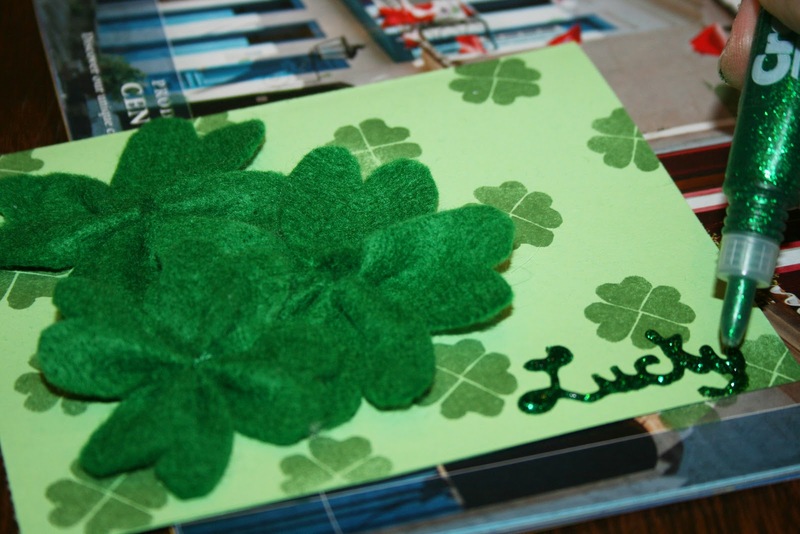 I made these cards for my family and sent them out a few days ago. I didn't want to post this then, however, because it would have ruined the surprise for them receiving it in the mail! I started by making my four-leaf clovers. 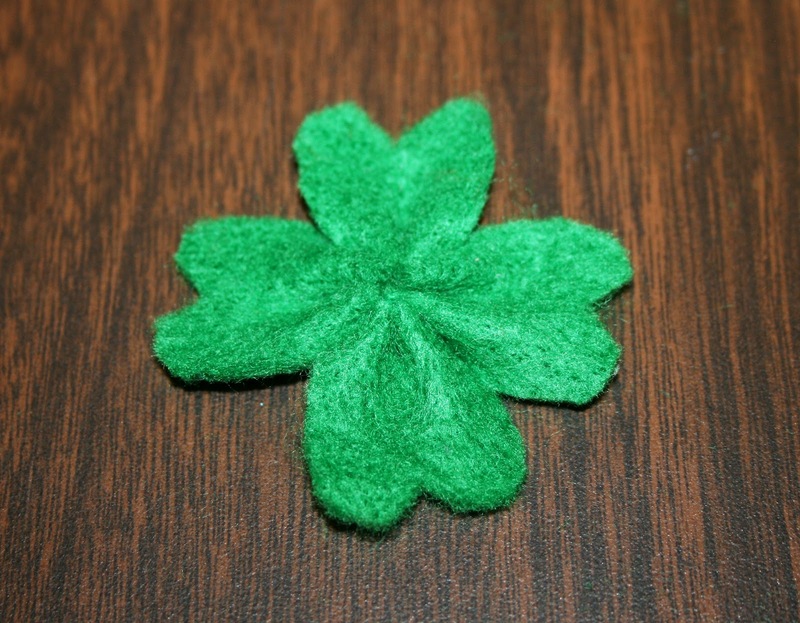 Cut four equal size pieces of green felt, and make the top of a heart shape on each, as seen below. 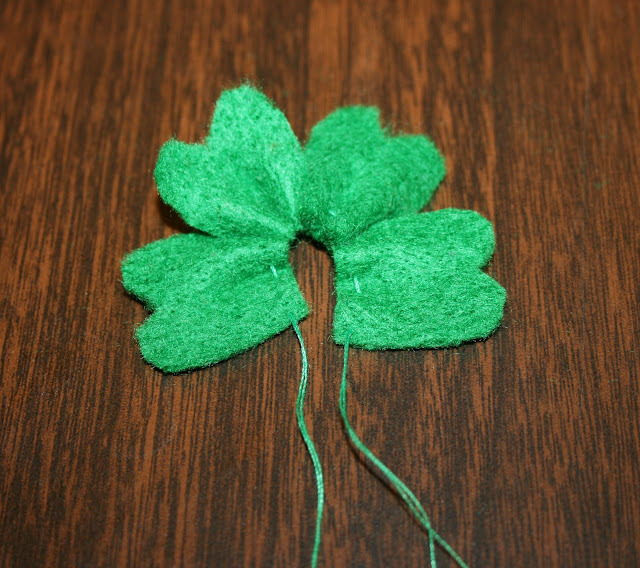 Then thread the bottom of each felt piece. Tie the strings together. 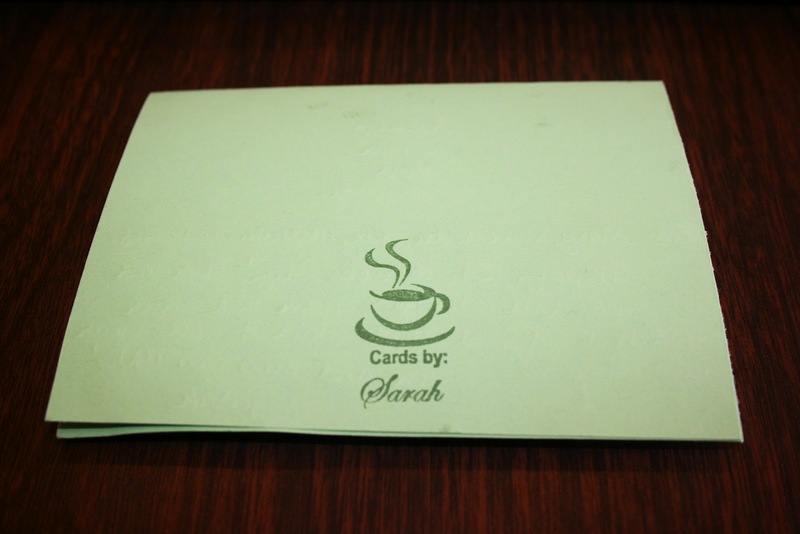 I made three of these for each card. Once they are complete, set them aside. 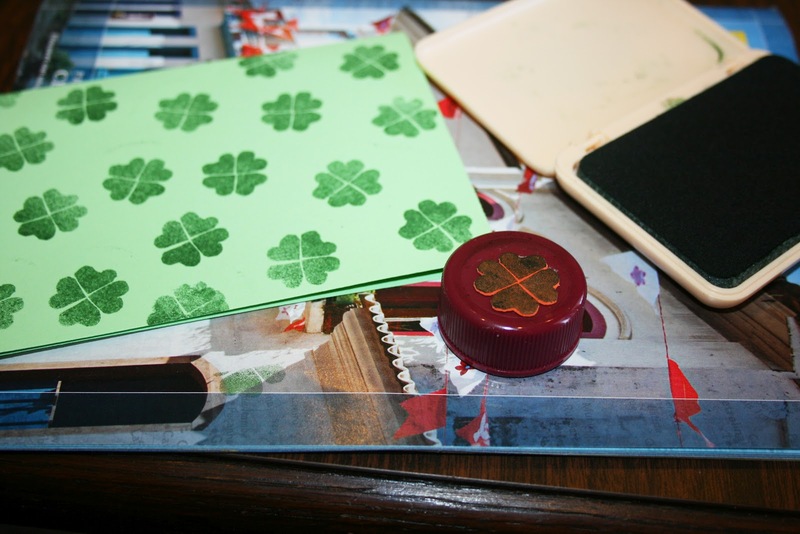 I stamped all over the front of my greeting card, in no particular pattern. 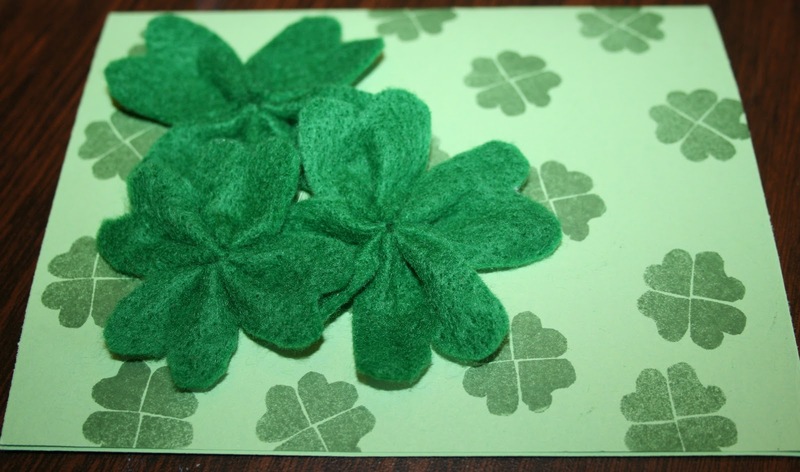 Then hot glue your three felt clovers on the left-hand side of your card. It will look something like this when done. 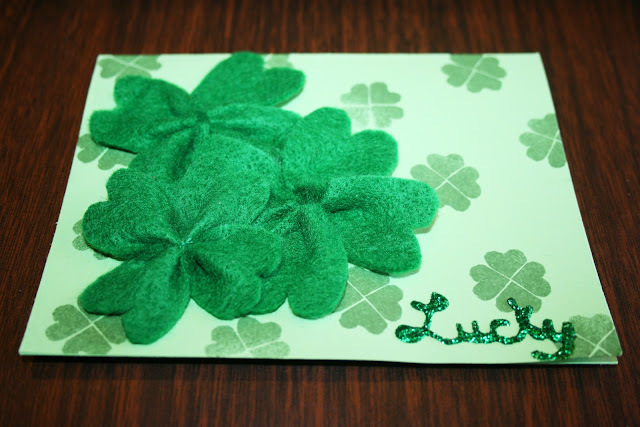 Then I wrote "Lucky" on the bottom right hand side of the card, with a green glitter pen. 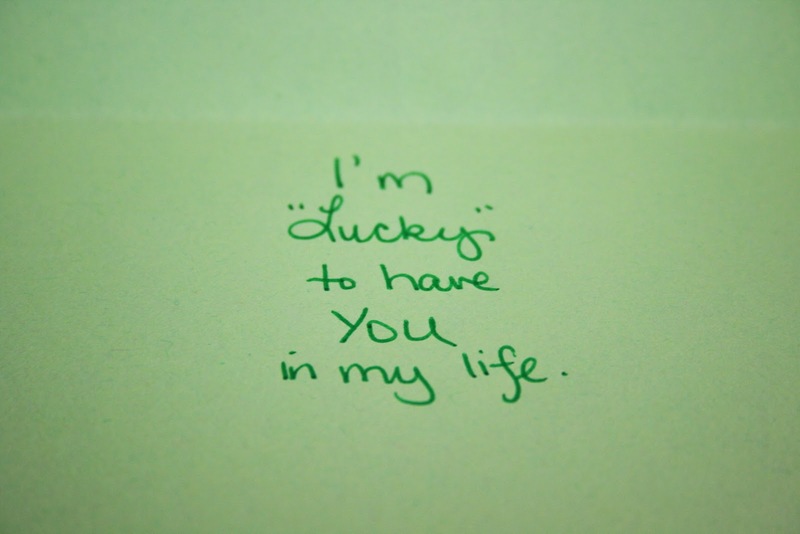 Then I wrote my saying inside the card, with a plain green pen. 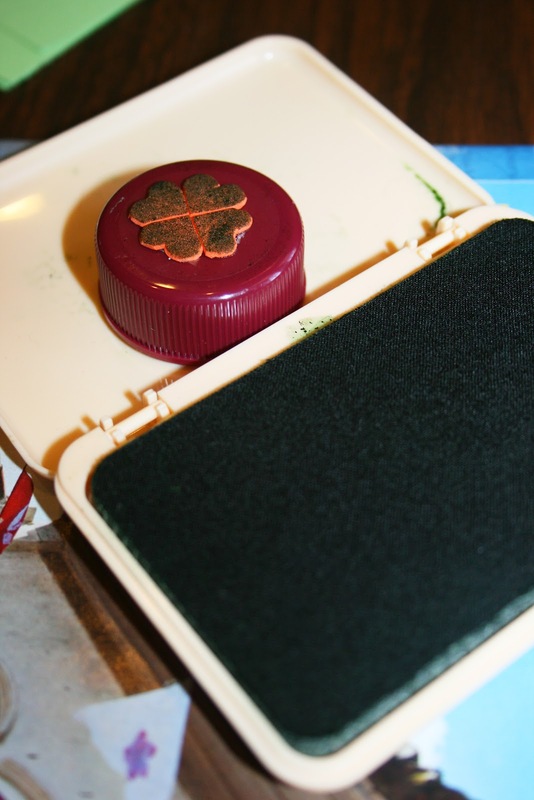 You can't have too much green on St. Patrick's Day! 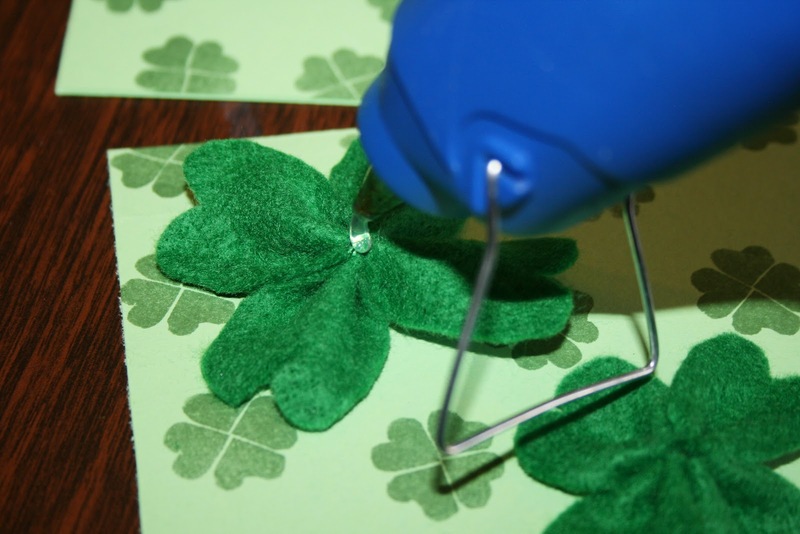 Happy National Craft Month....AND....Happy St. Patrick's Day!